Everything about crème brûlée sounds fancy, right? 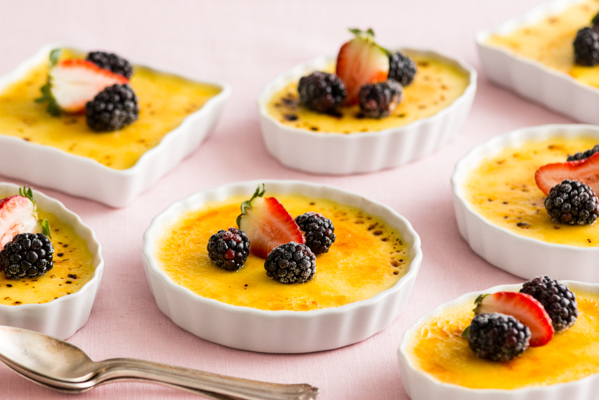 From the fancy French name (complete with fancy accents and such), to the fancy little individual ramekins in which it is served, to the famous and oh-so-fancy blow torched brule topping. Crème brûlée is definitely a dessert meant to impress. But there’s no need to visit a fancy French restaurant to get your crème brûlée fix, because it’s actually really simple to make at home! All you need are a few everyday ingredients, a KitchenAid® 9-Speed Hand Mixer, and a kitchen blow torch. Then after a few simple steps, this classic dessert will be yours to share and enjoy in no time. So let’s break out the blow torch and make it happen! Begin by whisking together two of the main ingredients — heavy cream and vanilla. I chose to use a vanilla bean for this recipe, but you can also substitute 1 teaspoon of vanilla extract. Heat the mixture over medium heat until simmering, not boiling. 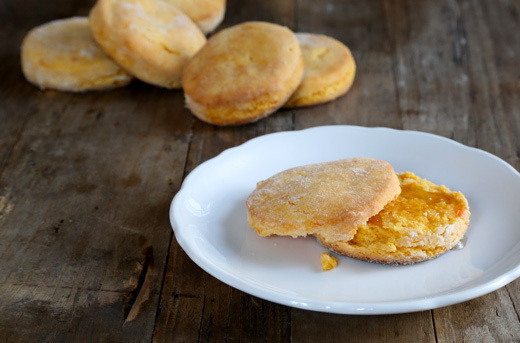 Meanwhile in a separate bowl, use a KitchenAid® 9-Speed Hand Mixer to blend your egg yolks, sugar and salt for about 1 minute until light and smooth. Add about 1/4 cup of the cream mixture to the eggs, whisking immediately to combine and temper the eggs. Repeat. Then add the remaining cream mixture, whisking while combining so as not to cook the eggs. Strain the custard through a fine mesh strainer to remove vanilla beans and any bits of egg that may have cooked. Then portion the remaining custard into eight ramekins so that they are each nearly full. Place the baking dish full of ramekins in the oven, then pour the boiling kettle full of water in the pan (careful to avoid the inside of the ramekins) until the water reaches 2/3 of the way up the sides of the ramekins. Bake for about 45-50 minutes, or until the edges of the custard in the ramekins are set, and the centers are only very slightly jiggly. Carefully remove pan from oven. Then use a spatula or tongs to carefully transfer ramekins to a cooling rack. Let the custards come to room temperature, then refrigerate for at least 3 hours. Once the custards have chilled, add about 1 teaspoon of granulated or super-fine sugar on top of each. Then give the custard a little shake so that the sugar spreads out evenly over the top. Then it’s time to break out the blow torch! Very carefully, use a kitchen torch to caramelize the top of each custard, holding the torch 2-3 inches from the top of the custard and slowly moving the flame back and forth across the surface until it is a deep amber color and bubbly. …and voila! 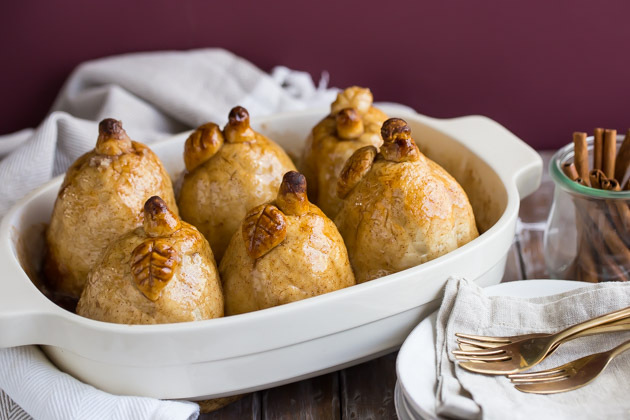 This classic French dessert is yours to enjoy! Preheat oven to 300 degrees F. Fill a kettle with water and bring to a boil. 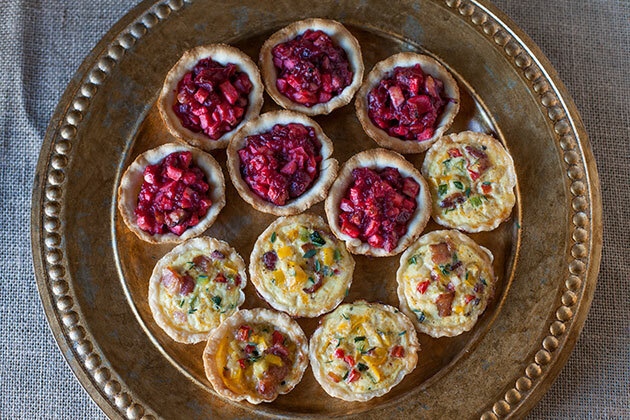 Arrange 8 (5 ounce) ramekins in a large baking dish, and set aside. Meanwhile, scrape the black seeds out of the vanilla bean and place in a medium saucepan with heavy cream, and stir to combine Heat over medium heat until simmering, but not boiling, stirring occasionally. Remove from heat and let the mixture rest for 5 minutes. Meanwhile in a separate bowl, use a KitchenAid® 9-Speed Hand Mixer to blend your egg yolks, ¾ cup sugar and salt for about 1 minute on medium speed until light and smooth. Add about 1/4 cup of the cream mixture to the eggs, whisking immediately to combine and temper the eggs. Repeat. Then add the remaining cream mixture, whisking while combining so as not to cook the eggs. Strain the custard through a fine mesh strainer to remove vanilla beans and any bits of egg that may have cooked. Then portion the remaining custard into the ramekins so that they are each nearly full. Place the baking dish full of ramekins in the oven, then pour the boiling kettle full of water in the pan (careful to avoid the inside of the ramekins) until the water reaches 2/3 of the way up the sides of the ramekins. Bake for about 45-50 minutes, or until the edges of the custard in the ramekins are set, and the centers are only very slightly jiggly. Carefully remove pan from oven. Then use a spatula or tongs to carefully transfer ramekins to a cooling rack. Let the custards come to room temperature, then refrigerate for at least 3 hours until cool. When ready to serve, sprinkle the tops each custard evenly with 1-2 teaspoons of sugar. (Superfine sugar is preferable, but granulated sugar will work.) Use a kitchen torch to caramelize the top of each custard, holding the torch 2-3 inches from the top of the custard and slowly moving the flame back and forth across the surface until it is a deep amber color and bubbly. Let the custard rest for at least one minute. Then serve, topped with fresh berries that have been rolled in sugar, if desired. love this vanilla bean creme brulee!!! I so need a blow torch ASAP! Can I use a stand mixer? Hi Ellen, sure you can definitely use a stand mixer. 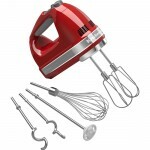 Just use the paddle attachment and beat on medium speed as directed, instead of using the hand mixer.